So this is it, our 200th Episode! 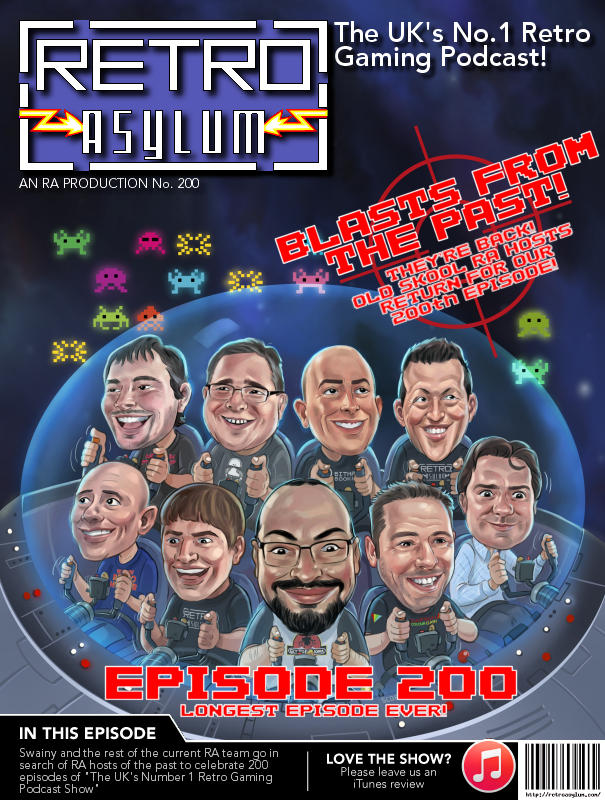 Dean Swain and the rest of the current Retro Asylum team go in search of RA hosts of the past to celebrate 200 episodes of “The UK’s No.1 Retro Gaming Podcast”. Join us in our longest ever episode, as we look back at the show and discuss how the UK retro scene has evolved since we began Retro Asylum back in 2011.